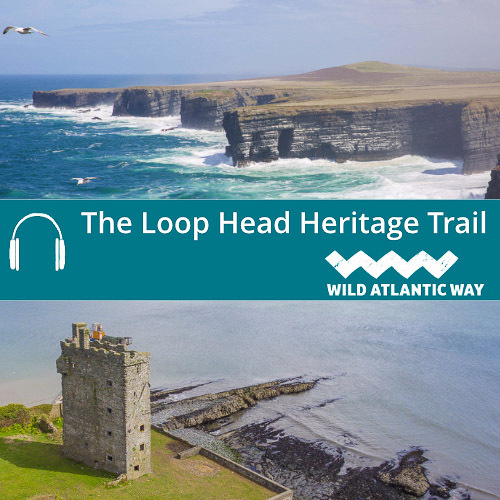 Explore the Loop Head Heritage Trail with our free audio guide! Explore the Loop Head Heritage Trail; one of the top highlights of Ireland’s Wild Atlantic Way. This part of County Clare is synonymous with stunning scenery and landscapes, fascinating wildlife, and heritage and culture. It is a landscape soaked with stories, where you can discover exciting tales around every corner. The Loop Head peninsula is located at the furthest extremity of County Clare, at the mouth of the majestic River Shannon. 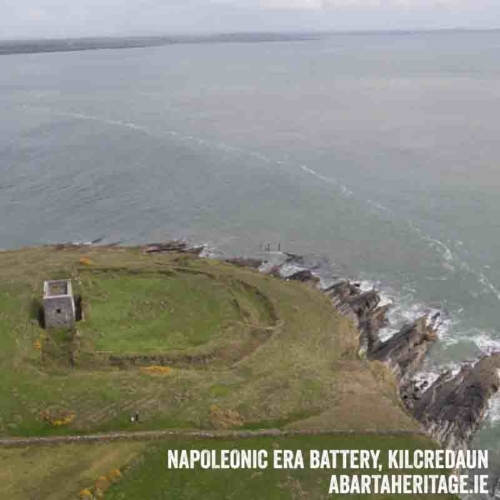 Its strategic location has long made it a desirable place to live, and its wealth of fascinating historical sites testify to its importance over millennia of Irish history. Loop Head is not only important to humans, it is one of the most vibrant and varied natural habitats in Europe, with a myriad of rare plants and animals that can be seen along its coasts. The variety of environments, from beaches, cliffs, salt-marshes, mudflats, estuarine environments and hedgerows are home to a bewildering variety of flora and fauna, and Loop Head is recognised as one of the best locations in the world to see a huge variety of resident and migratory seabirds. The peninsula’s importance as an ecosystem was acknowledged by the official designation of several areas of Loop Head as Special Areas of Conservation to help to ensure their preservation into the future. Loop Head Heritage Trail Acclaimed as one of the Top Ten Ethical Trips for 2017 by Rough Guides. Explore Loop Head’s rugged coastline and discover incredible stories around every bend! Download your copy of the Loop Head Heritage Trail today for free! This beautiful landscape is soaked with stories of folklore, shipwrecks, superstitions and traditions. Our Loop Head Audio Guide will introduce you to some of the characters from the area, who will tell you their own tales of life on the Loop.